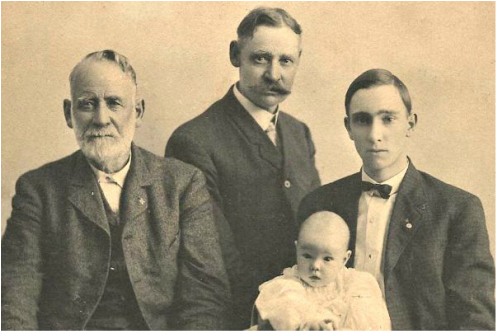 Alexander McRae Dechman born Nova Scotia Oct. 18, 1830, Alexander Franklin Dechman born Belnap Texas Nov. 22, 1858, Morgan Dechman born Dallas Texas 25 Aug 1885, and Thomas Alexander Dechman born in Indian Territory now called Oklahoma City Nov. 11, 1905. For a detailed review of A. M. Dechman's (a.k.a. Alexander McRae Dechman) be sure to read the following TXGENWEB article. It does acknowledge fact that he was an I.O.O.F. 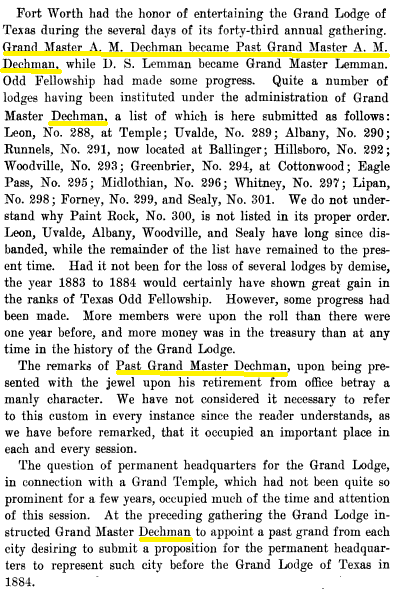 Past Grand Master. However, they are a little off on the date served. Located at Greenwood Cemetery in Dallas, Texas. 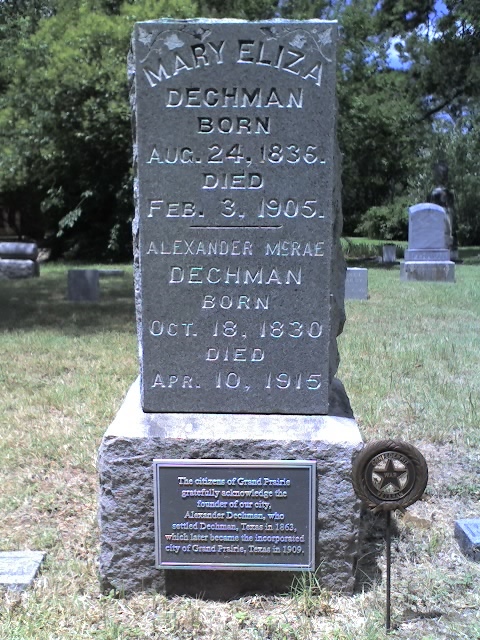 A. M. DECHMAN IS DEAD. Funeral Will Be Held at Residence This Afternoon—Burial to Be in Greenwood Cemetery. 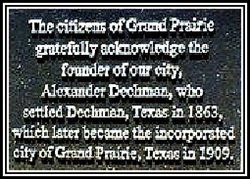 A. M. Dechman, aged 84 years, a pioneer Texan, died yesterday at his home, 4412 Worth street. The funeral will be held at the residence at 3 o’clock this afternoon, the Rev. Mr. Morris officiating. The burial will be in Greenwood Cemetery. 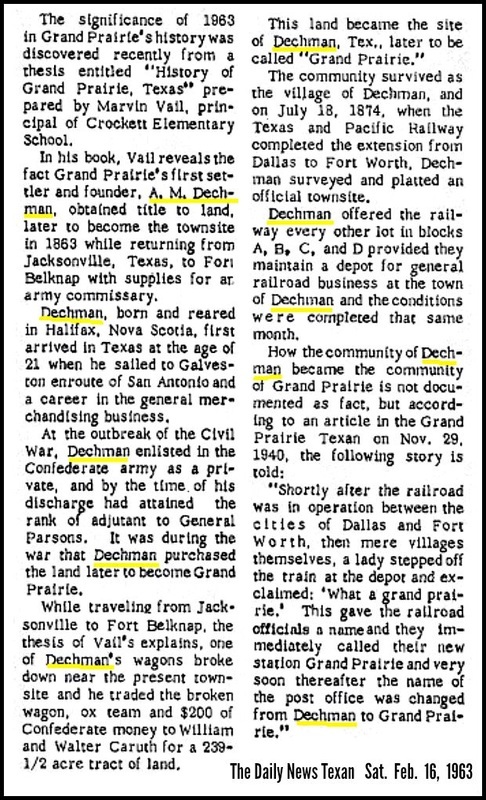 Mr. Dechman, who was born in Halifax, Nova Scotia, came to Texas sixty-four years ago, landing at Port Lavaca. Thence he went to Young County where he became County Judge, but was forced to leave the country on account of the hostility of the Indians. He was afterward Tax Assessor of Tarrant County. 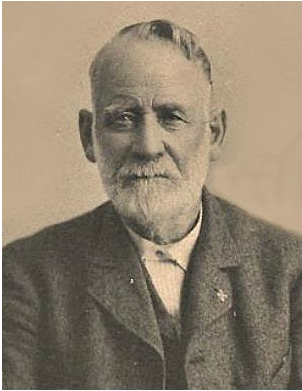 He came to Dallas twenty-six years ago Mr. Dechman was a major in Parson’s Brigade, Twelfth Texas Cavalry, Confederate Army, and served throughout the war. 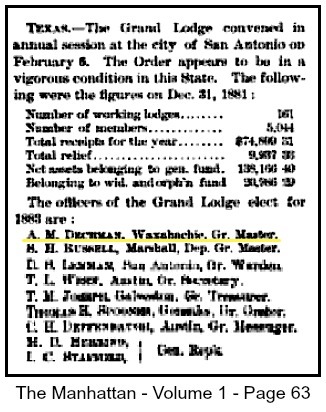 He was a prominent member of the Odd Fellows, and was at one time grand master of that order in Texas. Mr. Dechman is survived by seven children— A.F. Dechman, Jacksonville, Fla. But formerly of Dallas; T. M. Dechman, San Antonio; James Dechman, Oklahoma City; E. S. Dechman, Dallas; Mrs. Lillian Margraves, Rogersville, Tenn.; Mrs. Annie Warren, Milton, Ind. ; Mrs. E. B. Ward, Dallas. The four sons and A.F. Dechman of San Antonio and Frank Whipple of Italy, grandsons, will be the active pallbearers at the funeral.